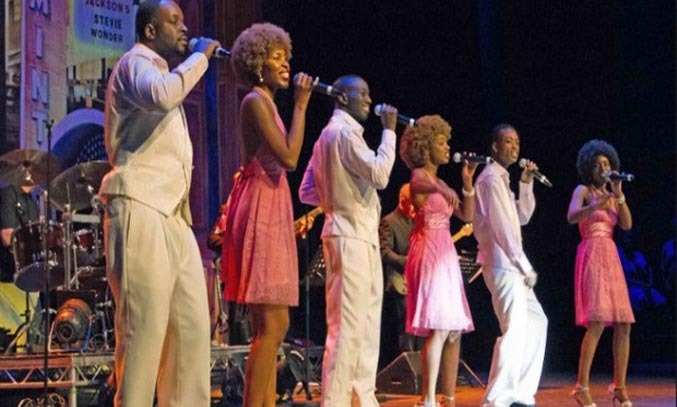 Created by the producers of Magic of Motown, Soul Legends is a two hour music spectacular which promises more soul classics than any other production. The show features a cast of talented singers and musicians who bring to life hits by Aretha Franklin, Lionel Richie, Wilson Pickett, Earth Wind & Fire, The Emotions and Kool & the Gang in true “soulsational” style. The first half of the show kicks off with the house band and six singers belting out classics like Soul Man, Ain’t Nobody and Ain’t No Stopping Us Now. The mash-up of Love Train with Cee Lo Green’s 2010 hit Forget You is particularly good and the high-energy dance numbers quickly has the audience on their feet. The second half of the show sees Gwen Dickey from 70’s group Rose Royce take to the stage. Despite being unable to stand due to a spinal injury, Dickey certainly hasn’t lost her charm with the glamourous soul legend winning over the crowd with her effortless vocal ability and infectious personality. Dickey belts out classics like Wishing On a Star, Is It Love You’re After, Ooh Boy and Car Wash and while her set is short, it is the highlight of the show. The final part of the performance sees the original six singers take to the stage for a high-energy finale, impersonating legends such as Barry White, James Brown and Tina Turner. An encore of Earth Wind & Fire hits Boogie Wonderland, September and Let’s Groove has the audience dancing in the aisles, ending the show on a high. Despite the excellent musicianship and superb voices, the show isn’t without its flaws. The dancing is out of sync at times and some of the songs are disco tracks rather than soul classics. A few of the numbers, such as Aretha Franklin’s Respect, Think and (You Make Me Feel Like) A Natural Woman also lack the power needed for these bigger numbers. That said, Soul Legends is certainly an entertaining production and is sure to get you dancing, particularly if you’re a fan of seventies and eighties dance classics. A soulsational feel-good show.